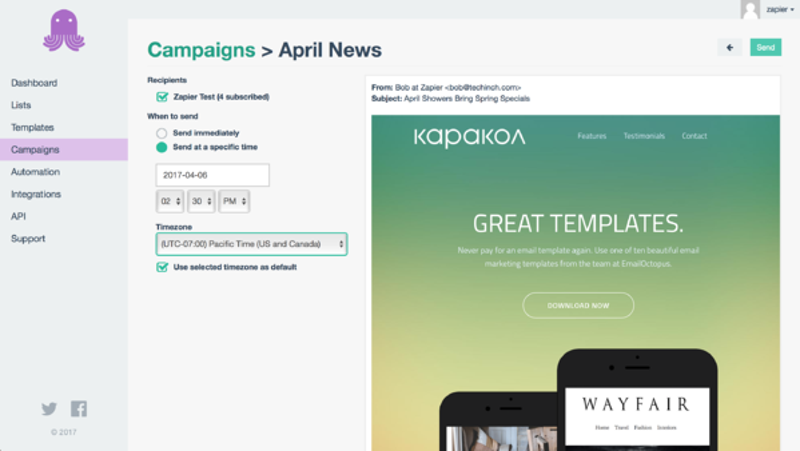 For many startups and small businesses, their initial version of an email marketing software is a scrappy, bootstrapped mail-merge spreadsheet. However, as businesses grow, so do their marketing needs. Soon small businesses are overwhelmed by large Excel files of unclean emails, unsubscribe lists and deliverability rates. Startups with little budget need a solution for their drip email marketing, email templates and email segmentation. Let me tell you, we at G2 Crowd were in this very position only a few years back. But small businesses, have no fear, free email marketing tools are here! While many email marketing companies offer their services on a trial basis, a handful of services go as far as having a completely free email marketing offering. Editor's note: For highest/lowest-rated features, G2 Crowd included only email marketing-relevant features. 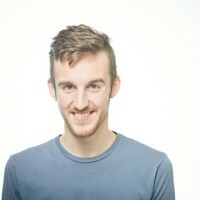 This post was updated on 4/8/2019 to include new products ranked by user-satisfaction score that is self reported from real-users of open-source and free email marketing automation software on G2 Crowd. Free Plan: Mailchimp’s awesome free email marketing service, entitled “Forever Free” allows email marketers to store up to 2,000 contacts and send as many as 12,000 emails every month. 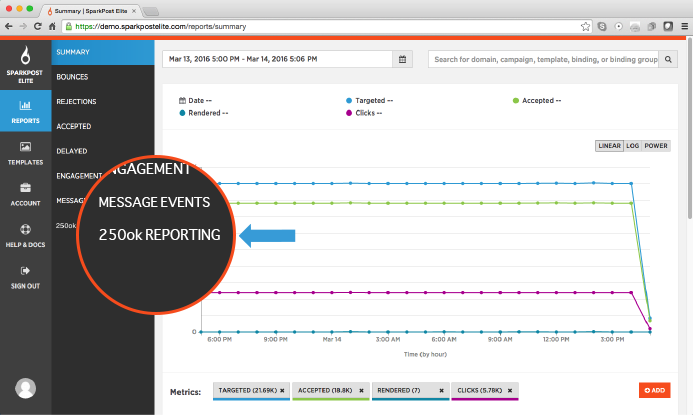 In a 24-hour period, free users can send up to 2,000 emails. Paid Pricing: Mailchimp offers two paid tiers called ”Grow” and ”Pro.” Starting at $10 per month, the Grow plan allows for unlimited subscribers with the price increasing based on the list size, and includes demographic and email a/b testing features. The Pro tier starts at $199 per month for enterprise-level companies’ high-volume subscriber lists. This package includes more in-depth reporting and multivariate a/b testing features. What Users Say: Mailchimp is not just one of the most popular email marketing products; but products across the entirety of G2 Crowd. With over 10,000 Mailchimp reviews and the highest user satisfaction rating of any email marketing platform, small businesses can’t go wrong with Mailchimp. Users enjoy Mailchimp’s personalization capabilities and email building, but at the same time, users rate the email marketing service’s quality of support as below average. On top of its market presence and user love, Mailchimp recently began to transition to a complete marketing automation solution. 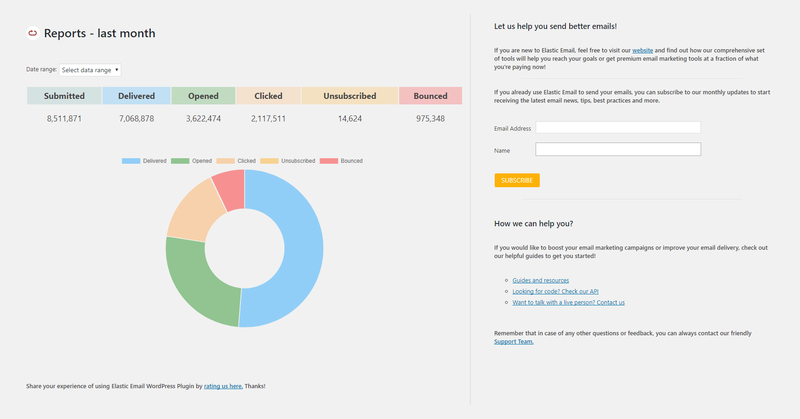 Sending outbound emails - 90 percent. Email and mobile preview - 90 percent. Performance and reliability - 90 percent. Multivariate testing - 83 percent. Bulk editing - 83 percent. Breadth of partner applications - 83 p ercent. Free Plan: The Moosend free plan allows small to medium enterprises and aspiring entrepreneurs to get a taste of a high-quality email marketing and marketing automation platform. With unlimited email campaigns for up to 1,000 unique subscribers, Moosend’s free plan is a viable option for those just getting started with email marketing. Paid Pricing: Moosend’s subscription plans are designed to cater for even the tightest of budgets. All features of the platform are available to every user regardless of their subscription plan. 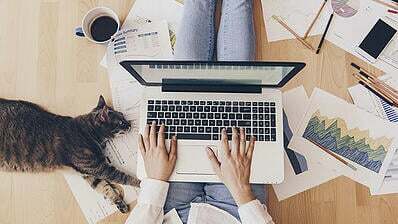 The entry plan starts at $10/month for unlimited emails to a max of 2,000 unique subscribers and $20/month for up to 3,000. Plans increase in price from there based on the number of subscribers, capping off at $3,650/month for up to 1 million subscribers. There are also pay-as-you-go plans starting at $3 for 1,000 credits (at $0.003 per email). What Users Say: Moosend seems to be a good option for many marketing departments or small businesses on a budget, and users have great things to say about the email automation platform. With an overall rating of 4.9/5 stars, Moosend reviews also say the free email platform has top-tier quality of support with a satisfaction score of 99 percent, compared to the industry average of 83%. Automated email responses - 100 percent. Integration APIs - 100 percent. Performance and reliability - 98 percent. Manage email lists - 93 percent. Building and personalizing emails - 93 percent. Free Plan: ExpressPigeon does have a free email marketing service, but only small businesses with very small and refined lists should look its way. 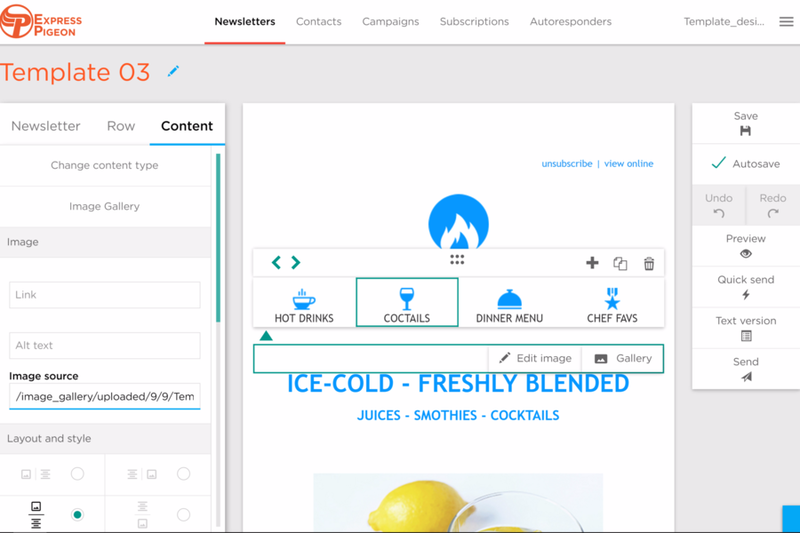 This email marketing platform caps subscribers at 500 and allows for 1,000 emails to be sent per month for free. Paid Pricing: ExpressPigeon has a number of tiers in their priced offerings. At $1,000 per month (and $100 for each additional seat), users can store up to 100,000 subscribers and send up to 2 million messages per month. From there, plans increase by $1,000 per month, with improved sending speed, increased subscriber counts, and increased message limits. The largest available plan is $26,000 per month for 7 million subscribers and 50 million monthly messages. What Users Say: While ExpressPigeon’s free offering won’t be the right solution for small businesses with large lists, its users love the platform. ExpressPigeon has above-average scores in every satisfaction and feature rating. Most impressively, the tool is rated by users as having a high-volume sending rating of 95 percent, automated email response of 96 percent, and building and personalizing emails of 98. Building and personalizing emails - 99 percent. Automated email responses - 96 percent. High volume sending - 95 percent. Breadth of partner applications - 88. 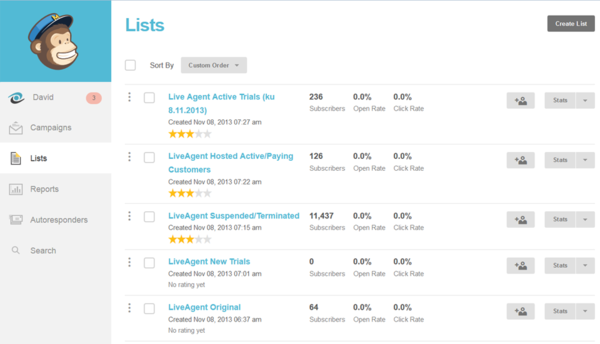 Manage email lists - 88. Free Plan: Elastic Email is free to get started, allowing users to send up to 100 emails per day without cost. Paid Pricing: Elastic Email offers unlimited monthly plans and pay-as-you-go plans with deeper feature sets and increased capacity. The Unlimited plan starts at $9 per month with up to 2,500 contacts, unlimited emails, and 24/7 support. The Unlimited Pro plan starts at $29 per month with up to 2,500 contacts, faster delivery speed, and additional features such as campaign analytics and segmentation. Plans increase in price based on the number of contacts, capping at 1 million contacts for $1,049 or $1,069 depending on the package. Pay-as-you-go pricing for SMTP and HTTP API senders starts at $0.09 per 1,000 emails. What Users Say: Elastic Email has decent feature ratings and is a High Performer based on user reviews. Its overall star rating as of April 5, 2019 is 4.4 out of 5 stars, which is higher than Mailchimp. Email platform integration - 92 percent. Open rate analytics - 90 percent. Integration APIs - 90 percent. A/B testing - 75 percent. Sender reputation management - 78 percent. Attachment activity analytics - 79 percent. Free Plan: The MailerLite free plan plan in a great low-cost option for small-business companies looking to sending bulk email to a small subscriber list. 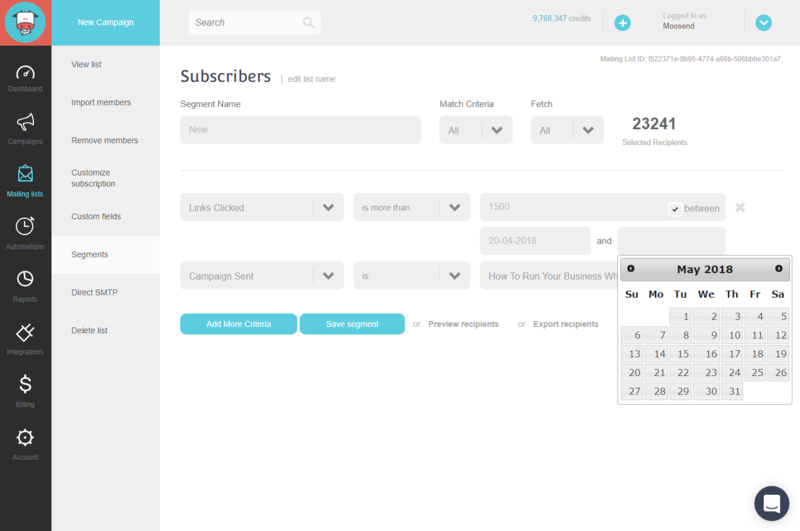 The free tier allows businesses to send 12,000 emails per month to up to 1,000 subscribers. The product sports features such as email automation, A/B testing, email campaign reporting, drag and drop editing, and more. Paid Pricing: MailerLite is fairly transparent on their pricing model. Aside from their free option, there are 4 other tiers for email lists of varying sizes. Surprisingly, MailerLite's highest volume package is still only $50 a month and allows an unlimited about of emails to be sent to up to 10,000 users. After that number however, MailerLite doesn't list a price, so those interested would need to contact a representative. What Users Say: From over 70 MailerLite reviews, the product has a user rating of 4.0/5. As of April 5, 2019, MailerLite’s Ease of Use is rated 8.7 out of 10, compared to the average of 8.2 in the category. Its highest rated feature is sending outbound emails (91 percent user satisfaction), while its lowest is internationalization (70 percent user satisfaction). Sending outbound emails - 91 percent. Data import & export tools - 87 percent. Basic reporting - 86 percent. Integration APIs - 74 percent. Breadth of partner applications - 76 percent. Free Plan: Benchmark Email's free email plan comes equipped with a fairly large number of emails. The entry level allows small-business marketers to send up to 14,000 emails a month and store 2,000 email contacts. 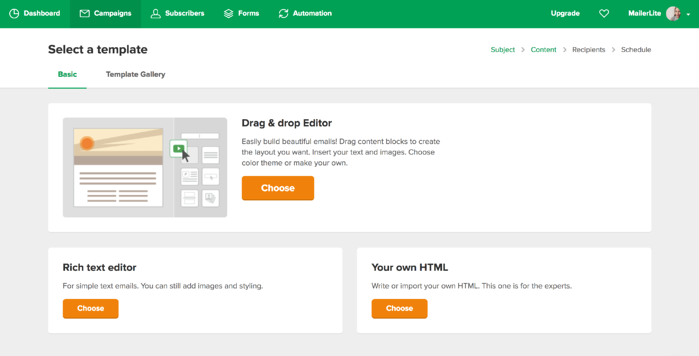 Its free option also comes loaded with basic features such as email analytics, email drag-and-drop editor, responsive templates and more. Paid Pricing: Benchmark Email has a multi-leveled pricing plan that can be a bit confusing. For medium lists, users can send unlimited emails to 600-1,500 subscribers at $13.99-$27.99 per month. For larger lists, companies can send between 1.7 million and 2.45 million emails to 125,000-175,000 subscribers at $659.99-$846.99 per month. There are also multiple other tiers for packages between these subscriber counts and from subscriber lists that are much larger. While confusing, Benchmark Email has a user-friendly pricing page that can nail down exactly how much their platform would be for any business needs here. What Users Say: From Benchmark Email reviews, users enjoy Benchmark Email’s preview mode as well as its email building and personalization. However, the email tool lags in many feature ratings, such as email deliverability and data import & export tools. Benchmark Email users rated the tool’s worst feature as high-volume sending at 77 percent (average, 89 percent), but free users can avoid this feature as the marketers looking for a no-cost option mostly will not be sending a large number of emails. Building and personalizing emails - 90 percent. Automated email responses - 90 percent. Performance and reliability - 74 percent. Data import & export tools - 74 percent. Manage email lists - 77 percent. Paid Pricing: SparkPost offers a monthly pricing plan that scales based on the number of maximum monthly emails, from 50,000 to more than 10 million. The smallest plan starts at $9 per month. Each plan is available as a standard package, a premium package, or an enterprise package, based on the number of IP addresses required by the user. What Users Say: Marketers looking for a pure email marketing tool should stay away from SparkPost. However, if your team is looking for a transactional email product that has features rooted in email marketing, this may be the tool for you. Users rate the product’s mail send API and email platform integration favorably (92 percent user satisfaction), but were less satisfied with email segmentation (69 percent user satisfaction). Dedicated IP - 93 percent. Mail send API - 92 percent. Preset template availability - 61 percent. Email segmentation - 69 percent. Template creation - 73 percent. 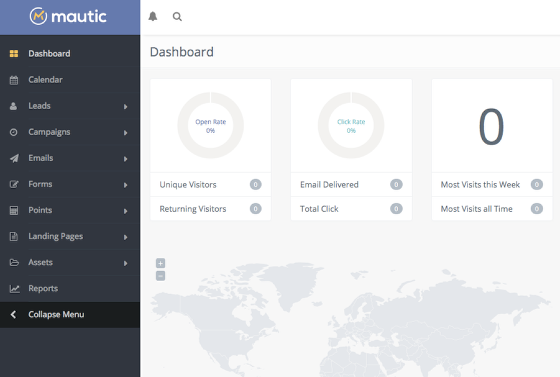 Free Plan: The only open-source email marketing tool on the list, Mautic allows users to download its tool for free to do everything from email marketing, contact management and social media marketing. There is no contact or email limit with Mautic. Paid Pricing: Mautic is the only completely free and open-source tool on this list. What Users Say: Mautic is better defined as a marketing automation software but has many email marketing features that will satisfy the needs of marketers. Feature ratings are a mixed bag, but there are a wide range of features that are covered, which speaks to the product's flexible functionality. As an open-source tool, companies can customize and build on top of its source code to tailor the product to their specific needs. User, role, and access management - 88 percent. Online behavior tracking - 85 percent. Revenue analytics - 31 percent. Social ads - 33 percent. SEO/keyword analytics - 42 percent. Free Plan: VerticalResponse offers up to 10,000 free emails per month for nonprofit users. Regular users can access the core features with a 60-day free trial before committing to the full product. 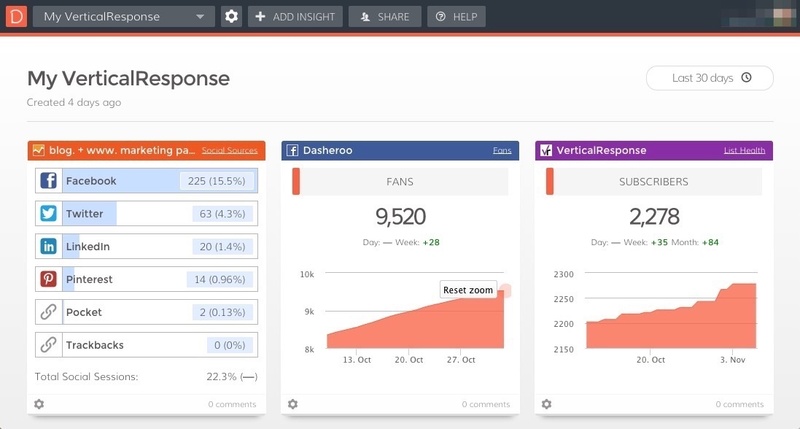 Paid Pricing: VerticalResponse offers three pricing levels. A “Basic” level starting at $11 per month, a “Pro” level starting at $16 per month and a “Pro+” level starting at $196 per month. As you pay more, you receive more features such as live support, heat maps and even an expert email strategist for the top tier. VerticalResponse is not transparent on their pricing page on the number of emails or users are allotted for each tier, but does say that their pricing is based off of email list size. What Users Say: Sometimes free products are great, and other times they’re not. Users rate VerticalReponse below average in every feature and satisfaction rating on G2 Crowd. Some of their worst include their breadth of partner applications at 55 percent and A/B testing at 61 percent. Sending outbound emails - 80 percent. High volume sending - 78 percent. Breadth of partner applications - 55 percent. A/B testing - 61 percent. Integration APIs - 62 percent. 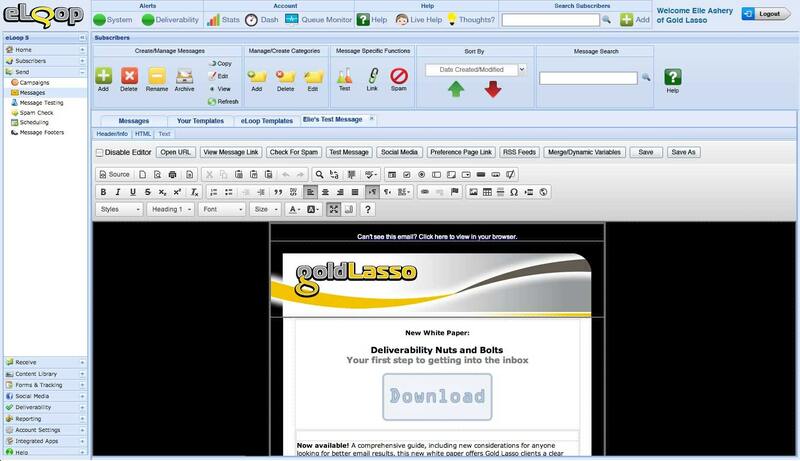 Free Plan: Gold Lasso describes its primary eLoop service as newsletter automation, and it allows users to customize newsletters with dynamic content for any number of subscribers. The free offering involves strategic ad placement, managed by the vendor, with half of ad revenue going to Gold Lasso. Paid Pricing: Free users are offered the same feature set as paid users of the platform. With a paid account, though, users have more control over ads being placed in their newsletters and may elect to send emails without ads. Pricing information is not readily available on the GoldLasso website, so interested customers need to inquire with the vendor. Paid Pricing: FireDrum offers two main subscription packages that are payable on a monthly, quarterly, or yearly basis. The Business plan is $4 per month if billed yearly and $5 per month if billed annually. It allows for 5 users, 500 contacts, and unlimited monthly emails. The Enterprise is still limited to 500 contacts but for unlimited users. Pricing for the Enterprise plan is determined on a case-by-case basis. Free Plan: Campayn offers easy-to-design, automated email campaigns for zero cost if you are only sending a maximum of 12,500 monthly emails to 500 contacts or less. Paid Pricing: Campayn has pricing plans laid out based on the number of contacts users will be sending emails. Packages start at $19 per month for the Basic plan and $39 for the Unlimited plans. These include a limit of 3,000 contacts and 15,000 monthly emails or unlimited emails, respectively. The largest plan available allows for 100,000 contacts and starts at $299 per month for 500,000 monthly emails, with the Unlimited option starting at $599 per month. What Users Say: With over 40 reviews and an average rating of 4.3 out of 5 stars, Campayn is one of the more consistently well-reviewed products in the category. Feature ratings are a mixed bag, with the highest being the platform’s email and mobile preview (88 percent user satisfaction) and the lowest being internationalization (67 percent user satisfaction). Email and mobile preview - 88 percent. Basic reporting - 85 percent. Free Plan: MPZMail users can send unlimited emails to anywhere from 1 to 1,000 contacts for free, with access to the full range of features. Paid Pricing: Like a number of products on this list, paid plans for MPZMail are mapped out based on the number of contacts on the user’s subscription list. The cheapest plan is $14 per month, and this allows for 1,001-2,500 subscribers and unlimited monthly emails. The largest plan is $14,178 per month, with a limit of 20 million contacts. Consult the MPZMail pricing page to see all the options between. What Users Say: As of April 5, 2019, MPZMail has maintained a respectable 4.0 out of 5 stars based on verified user reviews. 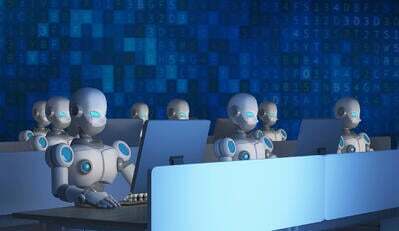 Users were especially fond of the automated response feature (90 percent user satisfaction), but less impressed with the product’s building and personalizing of emails (69 percent user satisfaction). Automated response - 90 percent. Manage email lists - 89 percent. Email and mobile preview - 86 percent. Building and personalizing emails - 69 percent. High-volume sending - 70 percent. 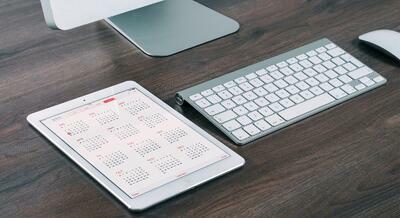 Manage email deliverability - 75 percent. Free Plan: According to the EasySendy website, accounts with EasySendy Pro are free to use for sending emails to the first 2,000 subscribers. Users can upgrade if they need to exceed that limit. Paid Pricing: EasySendy Pro offers complete packages starting at $19 per month, for users with anywhere from 2,000 to 10,000 subscribers. From there, the cost increases based on the number of contacts; the next plan is $27 per month for up to 25,000 contacts, and the largest advertised plan is $849 per month for 5 million contacts. 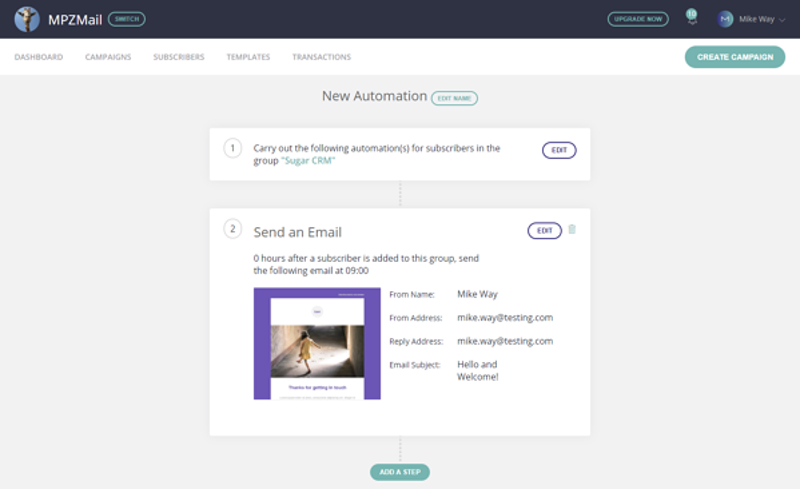 EasySendy also offers paid memberships for drip email automation and marketing automation. What Users Say: Users have rated EasySendy a solid 3.6 out of 5 as of April 5, 2019, with a few bad experiences dragging the rating down. Several of the product’s feature ratings are above-average, with a stellar 94 percent user satisfaction for the email and mobile preview feature. The lowest-rated feature is A/B testing, at a 74 percent user satisfaction rate. Email and mobile preview - 94 percent. Manage email deliverability - 92 percent. A/B testing - 74 percent. Basic reporting - 83 percent. Sending outbound emails - 83 percent. Free Plan: With pricing plans aptly named after sea creatures, EmailOctopus's limited Shrimp plan is free forever for those sending campaigns to 2,500 subscribers or less. 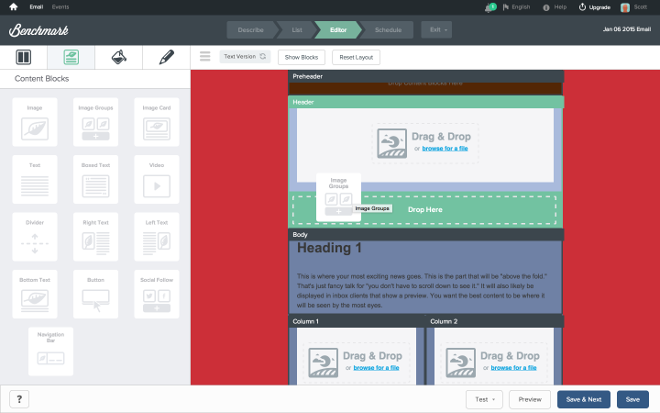 Emails sent with this free plan will include some EmailOctopus branding. Paid Pricing: The entry-level membership for EmailOctopus is called the Tuna plan, and it is $19 per month for users with up to 10,000 subscribers. The other advertised plans (Stingray, Shark, and Whale) are available with increased subscriber limits and monthly costs, with the largest allowing for 250,000 contacts at a monthly cost of $109. What Users Say: EmailOctopus is consistently well-reviewed, with no ratings below three-and-a-half stars as of April 5, 2019. The available feature ratings are all above 80 percent user satisfaction, showing that there aren’t any gaping holes in the product’s current toolkit. Email and mobile preview - 92 percent. High-volume sending - 92 percent. Sending outbound emails - 92 percent. A/B testing - 80 percent. Building and personalizing emails - 85 percent. Great! Now you know the best email marketing software you can implement on a budget! What's next? Check out our entire email marketing software category page for more information on these products as well as on paid systems.